This 2014 dress is in amazing condition and has not been altered. Clean white lining and dress shields always worn. The colors are rich royal blue (dutchess satin) and hot pink (twinkle satin. Measurements were provided by Mary S. at time of delivery. Many large oval and teardrop Swarovski crystals add to the current style and value. More clear gems have been added to the neckline and the cape than are shown in the photos. 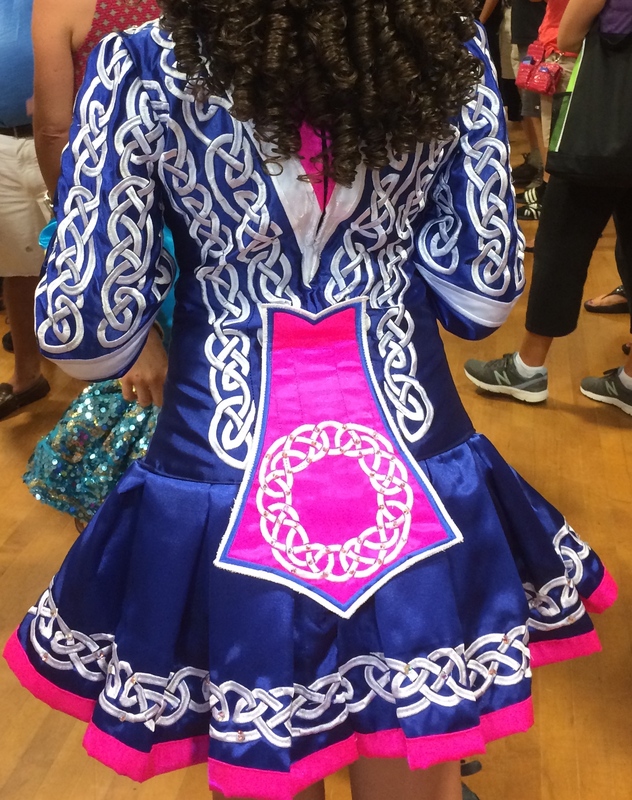 My daughter is the only owner and wore it as a tall 10/11 year old. This is not a dress for a very thin dancer as my daughter has a large ribcage (but no bust). Located in Maryland. 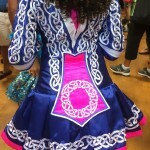 Will be at McGrath feis, Hurley and CCE. Will be worn at Denogla and Roisin. Available March 22. I would like to only ship to the United States. Lots of let down and let out in most places. Asking Price: $US1,100. Shipping costs are included for my own country, overseas shipping is extra. Sale is final.